There is nothing like warming up with a hot plate of delicious, nutritious food on a cold day. My favorite winter nights are those spent curled up by the fireplace with a hot drink and a good book after having eaten satisfying meal. During winter it is common to crave rich comfort foods that are hearty and warm. The good news is that these foods, with the right ingredients, can also be healthy. Try some of these recipes next time you need your comfort food fix! It is hard not to love the warm, cheesy goodness that is Mac & Cheese. This recipe combines the traditional Mac & Cheese taste with the components of a BLT sandwich. The bacon adds savory flavor and some crunch. 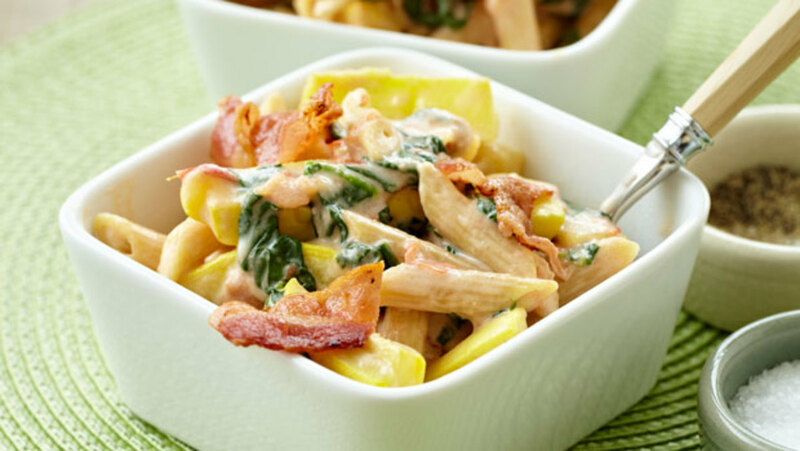 Spinach, squash, and tomato provide this dish a full serving of vegetables. Spinach also helps with digestion by protecting the mucous lining of the stomach and contains vitamins and minerals that can improve skin health. This recipe takes a bit of time, but I promise you the end result is worth it. 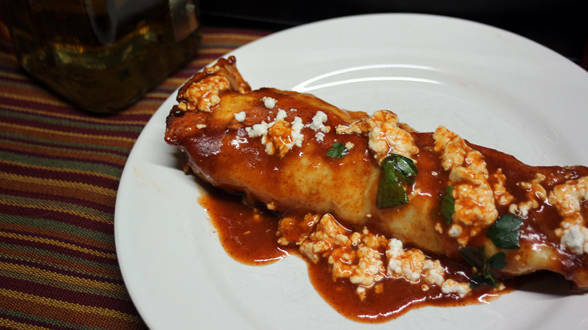 You can also refrigerate the extra enchiladas without the final layer of sauce to eat later. Chicken is an excellent source of protein. Substitute whole-wheat tortillas for the traditional corn and brown rice for long grained rice to increase the amount of complex carbohydrates. Pair with a side of green salad and you’ve got yourself a meal! Banana bread is one of my all time favorite things to bake. 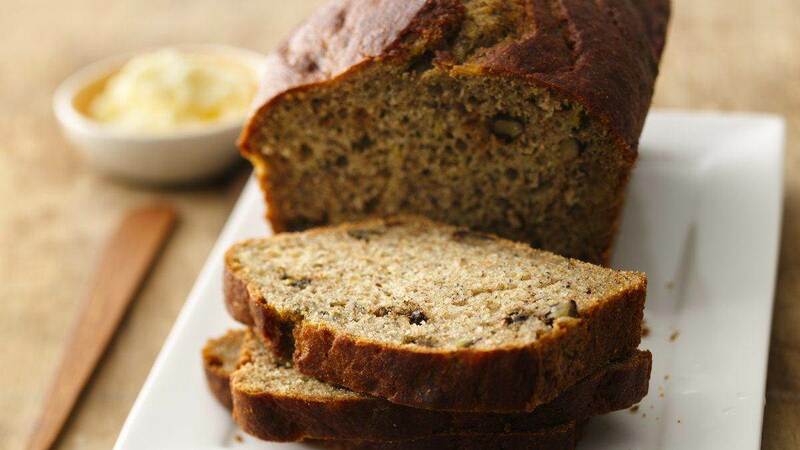 It is also a great way to make use of overripe bananas that you would just end up throwing away. It is so easy to prepare and will leave your kitchen smelling amazing. As if that’s not enough, bananas are also high in potassium, which helps the body eliminate excess salt and water. Check out this recipe on a blog written by a former UC Davis student! 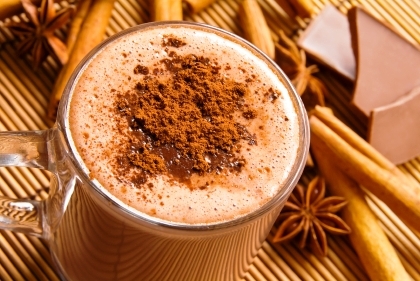 A flavorful version regular hot chocolate, this spiced hot chocolate recipe is extremely simple to make. The spicy flavor of the chili powder and cinnamon adds to the richness of the chocolate for a combination of spicy and sweet. Cinnamon is high in antioxidants and helps control blood sugar levels. This recipe also contains calcium, protein, and riboflavin (a B vitamin).